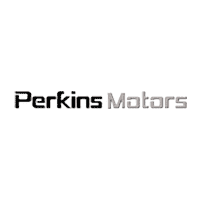 The wonderful financing team at Perkins Motors Company, Inc. works with a variety of local and national lenders to give our customers more options when it comes to financing that new ride. Even if you ‘ve been turned down for an auto loan in the past, we can assist you in finding finance options that meet your needs. Whether you have bad credit or you’re a first-time car buyer with no credit, you can trust that Perkins Motor Company, Inc. will get you into the car or truck of your dreams. The Perkins Motors loan process can help you find the best interest rate for your next vehicle purchase. Once the application is completed, the Perkins Motor Company finance team will put together a loan package that is tailored specifically for you.